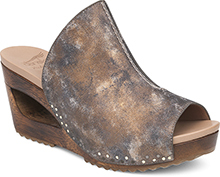 The Dansko Taupe Milled Nubuck from the Delphina collection. 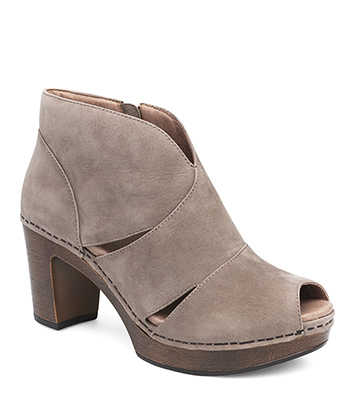 Reach new fashion heights with Delphina. 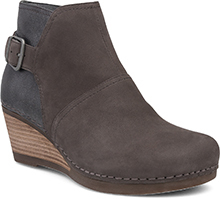 This transitional peep-toe block heel melds the on-trend fashion of a bootie with the comfort of your favorite clog. A peeked top line and subtle side openings lend an extra dose of the unexpected.